Al Mar Knives is one of the top-ranked world leaders manufacturing blade weapons. The company was founded by Al Mar in 1979. It has a reputation of making tactical knives of inimitable design and superior quality. Al Mar knives are ideal for those who lead an active lifestyle, love strong military things and value reliability and functionality when it comes to knives. After serving in Vietnam during the Vietnam War, Al Mar understood that it was important to have a reliable tactical knife in extreme situations. The talented officer decided to create knives intended for survival. In 1979, he set up the production of knives and other kinds of cutting weapon. Since then, Al Mar knives have been in great popularity with cold steel enthusiasts. The SERE knife is Al Mar Knives’s most popular model. It was the first knife accepted for use by Special Forces Colonel Nick Rowe for the SERE Instructor School at Camp McCall, North Carolina. 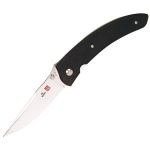 According to many experts, the SERE knives are number 1 among tactical folder knives. Today, the company has different kinds of knives in their arsenal: hunting, police, fishing, and kitchen knives. Al Mar knives are made in Japan. All Al Mar knives are made in accordance with the modern technologies involving hand work. Quality control checks are carried out throughout all the manufacturing process. Every Al Mar knife has a special trade mark serving as a proof of its top quality and originality. 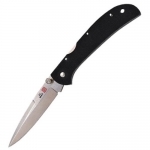 Below is a chart showing the best Al Mar knives on the site as reviewed by multiple users. Keep in mind that there are many great Al Mar knives out there, but if you can't decide on one after searching the site, choose one off this list and we are confident that you will be happy!